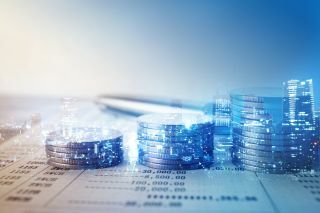 Barriers preventing the adoption of latest innovations are bringing about a growing divide between the ‘haves’ and the ‘have nots’, leaving the financial industry disjointed in its approach to data insight and fraud prevention. Organisations such as banks and insurers have never before been faced with such a lucrative time when it comes to harnessing the true potential power of the latest technological innovations. In the space of just a handful of years, those blazing the trail are enjoying real-time predictive analytics, supported by artificial intelligence, facing up to the realities of Blockchain and weighing up the potential benefits - and dilemmas - presented by auto-decisioning. But as much as the hype might reflect reality in some organisations, for others the burning heat of advancements in tech seems light years away and out of reach. Unfortunately it comes down to the age-old limitations of prohibitive cost and lack of expertise by way of deployable resources. Small to medium enterprises, such as the Challenger banks now giving the larger institutions a run for their money, can take an agile approach to systems integration. But it’s when it comes to serious investment in in-house capability that SMEs fall down. Hiring in expertise is costly, and funding an education programme for staff is prohibitive and way down the priority list. As a result, many smaller organisations are often not able to embrace the true power of data science, and this is compounded by the reduced amount of customer data available to them, making it more difficult to truly interrogate and identify trends. Meanwhile more established players in the field have a huge advantage when it comes to the availability of years of historical data. But it’s not just capital investment hurdles that are serving as a barrier to accessing insights into data. Even with the availability of off-the-shelf data models, organisations need the resources to interpret system outputs. And even if you factor in the prospect of automation, there is always likely to be a need for some human intervention, if only for exceptions. On top of that, there’s lots of established systems out there that are harder to integrate with. The infrastructure is in place, but you have to unpick legacy systems, which takes time, money, and - you’ve guessed it - manpower. There are of course - traditionally larger - organisations that are absolutely blazing the trail, successfully integrating new systems to achieve enterprise wide real-time solutions. These include the use of powerful analytical tools which benefit heavily from the data associated to the broad population which they service. But there remains a value education piece. Potential advantages are lost in translation and organisations are being put off by the amount of investment and sheer size of the challenge, burying their heads in the sand, keeping them from seeing the bigger picture and the positive returns. These organisations and their employees are unable to deliver the preventative strategies they would like to as a result of this lack of in-depth insight into potentially adverse activity, which is creating a vicious circle among the ‘have-nots’. If you don’t adapt you can’t capture the necessary data, which leaves you exposed. Increasing the volume and variety of data captured provides the organisation with a better understanding of current and prospective customers, and enables them to deploy more effective measures to reduce risk and deter criminals. If firms don’t keep up they will just be a target and we already see the financial services industry being increasingly hard hit due to old operating systems, and companies’ inability to cope with new forms of cyberattacks. The reality now is that expertise costs, and the combination of the right tools and people, requires funding. A lot of banks are even looking towards automated decisions, which is even more of a pressure to have robust systems in place. Ignoring the issue could only lead to a potentially skewed view of risk, while a greater insight into increasingly complex fraud trends was becoming ever-more necessary if only to give good customers the smooth and instant experience they expect. For the many organisations who find themselves ‘behind the curve’, it’s hard for them to see a route to catch up with those enjoying the latest innovations. But this only means they will fall behind their competition. New technology at the very least allows for a slicker interaction with customers and delivers a frictionless online journey. Either way, it will lead to real losses. Trust is king these days and you are even less likely to trust a finance provider if you think they’ve not dealt with or invested in their security very well. Customers are more alert to issues around cyber security and data breaches, and are much less forgiving. We’ve tried to meet the challenge of providing a solution head on, to overcome current barriers, after listening to feedback from customers. We’ve worked with international partners to create Precision, which plugs into existing systems, and provides a quick and value-driven route to powerful predictive insight, without the need for in-house expertise. Only when the EU’s General Data Protection Regulation (GDPR) comes into force will the true impact of inertia be brought into sharp focus. In fact it may be the impending introduction of GDPR in the first place that’s putting companies off investing in systems they feel may turn out to be non-compliant. But this new regulation will bring with it huge fines for those who find themselves without the proper processes in place and GDPR shouldn’t be seen in isolation. Existing regulations and their associated punishments for failing to meet necessary requirements will add further risk to a company that doesn’t act. If you don’t move fast enough, you could fall so far behind that you can’t keep up. For a start-up there’s a real chance of losing capital investment, which could ultimately put them out of business. For the more established players, while longevity may be less of a risk, reputational harm is still a very real prospect.